Direct from London’s West End and Broadway, The Barricade Boys are back on the road with their FIVE STAR international tour! Fabulous harmonies, incredible vocals, dashing good looks and fantastic personalities. 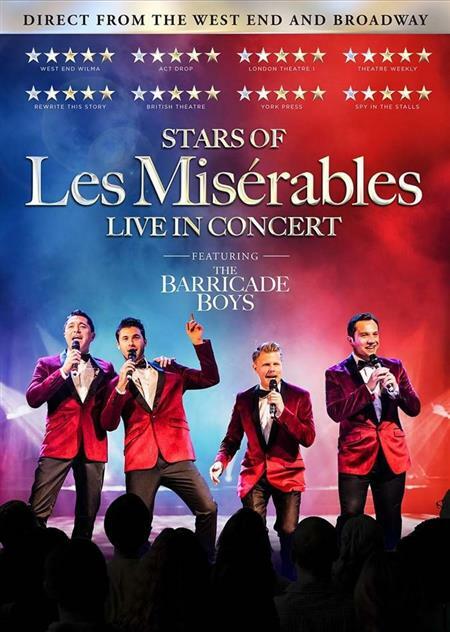 The Barricade Boys showcase the UK’s finest male voices from the world’s longest-running musical – Les Misérables. As seen on ITV’s ‘This Morning’ and ‘The Paul O’Grady Show’ The Barricade Boys are quickly securing their place as theatre land’s newest and most exciting show! After sell-out performances in London’s West End, an appearance on Broadway and many international dates this exceptional group bring their show to Chesham ONE NIGHT ONLY!